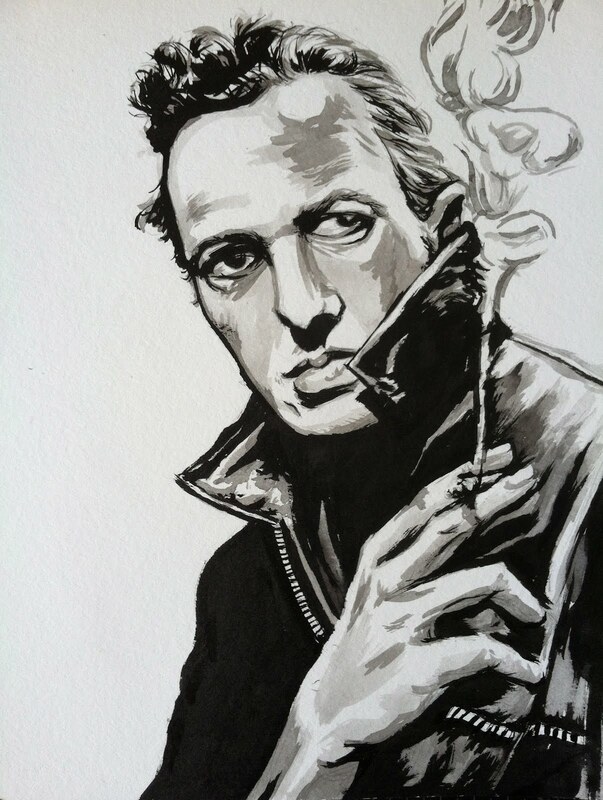 In celebration of Joe Strummer's birthday I made a little 9in by 12in ink portrait last night. Joe was one of the coolest cats to ever walk the face of the Earth, he left us too soon. I can remember dancing around my house with my mom as a young kid, listening to "Rock the Casbah." It wasn't until I was in my teens that I actually started listening to the lyrics and realized that this dude really had something to say. He took the aggression and fury of punk and politicized it. He told people to speak up, to know you rights, and fight for what you believe in. But the one thing I really love about Joe and the Clash was that they weren't just a punk band. They weren't afraid to mess around with other styles of music, be it reggae, funk, rockabilly, soul, or even some rap. Joe changed the face of music, and for that I am eternally grateful. R.I.P.